We manufacture products that help Massage professionals provide the best possible experience for their clients and retail customers. Hydro 2 Oil’s vision is to be the preferred brand for massage therapists and industry professionals alike. Exclusively blended Massage Oils and Gels for professional Massage Therapists. Based in Geelong, Australia, the brand had its beginnings in 1979, in Lilliane’s busy beauty salon, which she owns to this day. Working long hours, Lilliane became frustrated with the expensive, inferior, difficult to use waxes on the market; so she set about formulating her own range of hard and strip waxes. These products are now used by salons around the world. Caronlab Australia has been dedicated to helping create better salons by delivering superior waxing products, exceptional service and industry leading education. Our innovations are driven by our passion, understanding and commitment to making the beauty therapists’ life easier and salons more profitable. We’re now more than just wax; we’re the experience that embodies knowledge, reliability and performance, making us the number one choice for salon and massage professionals. Our dedication to Salon comfort and well being saw the development of Micro Defence in 2004. It revolutionised salons protection against germs. Our surface spray is a TGA approved hospital grade disinfectant with a kill rate of 99% on contact with a wide range of micro-organisms. Micro Defence is non-toxic, non-carcinogenic and environmentally friendly. It has quickly become one of Caronlab Australia’s most popular accessories, with many therapists using it as their total salon hygiene solution, saving them time and money. 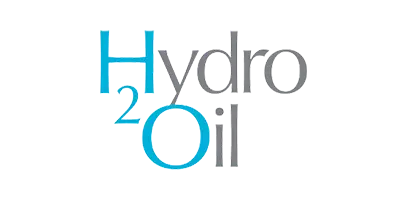 In 2008 Hydro 2 Oil was born, exclusively blended Massage Oils and Gels for professional Massage Therapists. Made from natural vegetable oils, it provides a soothing massage that nourishes the skin leaving it feeling silky soft. If you can’t already guess from the name ‘Hydro’- our oils hydrate the skin, leaving it soft, moisturised and non-greasy! Hydro 2 Oil offers a comprehensive solution for Massage Therapists and Industry professionals alike. They are vegan friendly and are 100% water dispersible, meaning you can simply wash it off in water! Hydro 2 Oil products are not sticky and are designed to achieve the right balance between grip and slip, making them essential for any massage treatment.